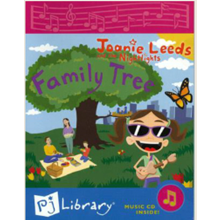 In January PJ Library is sending families with children ages 2 and up an extra surprise with your PJ Library book--a Family Tree decal kit! As you build your Family Tree, be sure to share stories with your children. Who are your oldest relatives? Your newest? The most colorful personalities? Do you have relatives in Israel or elsewhere outside of North America? We look forward to hearing about the family stories you uncover. After you plant your Family Tree, what's next? 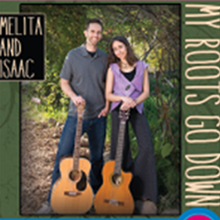 Here are videos, websites, books, and songs to help you dig deeper and learn more. The videos below discuss the impact that tracing your roots can have, introduce the basics of genealogical research, and showcase one very famous family's story. Exactly who is "once removed" and what does that really mean? Watch the video above to find out. Leonard Nimoy's heritage and family story influenced the iconic Vulcan salute. Do you know the name and place of origin of one of your Jewish ancestors? Enter it in the database of Tel Aviv’s Museum of the Jewish People, and learn about the place, see historical pictures, and identify relatives. This no-cost, easy-to-use site helps you search for relatives and create an online tree. As you create a Family Tree and share stories, check out StoryCorps, the public service project aimed at gathering and sharing stories to build connections between people and create a more just and compassionate world. In addition to featuring beautifully-told stories, the website offers a list of Great Questions to elicit family stories. Do you remember songs you used to sing mom/dad growing up? We want to hear all about your Family Tree adventure--did you learn something incredible, surprising, or unusual as you built your tree? Join the conversation with us on Facebook, Twitter, or Instagram. Don't forget to add #pjlibrary to your post.